We know that Disney plans on making Star Wars movies probably for longer than many of us plan on being alive, and with the release of Rogue One: A Star Wars Story on the way, they are starting to plan that future out a bit more. At one point, that future included a Boba Fett spinoff movie from Fantastic Four director Josh Trank. It turns out that the project was far enough along that Disney and Lucasfilm even had a teaser ready for Boba Fett: A Star Wars Story. Entertainment Weekly is reporting that Lucasfilm prepped the Boba Fett teaser and was planning to show it at Star Wars Celebration last year in order to officially announce the movie to fans. That is how close the movie was to being a real thing. Unfortunately, after the fallout from the poor performance of Fantastic Four and reported behind-the-scenes drama related to Josh Trank, he left the project. The director claimed it was for personal reasons, but there were many reports that he was fired. Either way, the Boba Fett movie was inches away from reality. Here is how EW tells it. "It came so close to being officially announced, Lucasfilm even prepped a teaser reel to show at Star Wars Celebration in spring of 2015, sources tell EW. At the last minute, the split with Trank backburnered the project." Boba Fett, like many characters in the Star Wars universe, gained a ton of popularity after debuting on the big screen in Star Wars: The Empire Strikes Back, despite having very little screen time. However, the degree of popularity that Boba Fett has garnered is staggering and he remains one of the most popular characters the franchise has ever produced. That being the case, the fearsome bounty hunter seems destined for more than an unceremonious, alleged death at the hands (or mouth rather) of the Sarlacc in Star Wars: Return of the Jedi. Since Boba Fett is so popular, it likely pains fans to know that there is a teaser for this movie just sitting in the Lucasfilm vaults (or on a hard drive) somewhere. Following the release of Rogue One: A Star Wars Story, Lucasfilm will be mapping out what they plan to do with the franchise in the future. After Star Wars Episode 9 in 2019, things are a little uncertain. Will it be more standalone movies? Will the saga movies continue? According to Lucasfilm President Kathleen Kennedy, that has yet to be determined, but there are movies that have been discussed and starting in January, the team will be getting together to figure out the future for Star Wars. "There are [possible movies] that we have been talking a lot about. But we are planning to sit down in January, since we will have had The Force Awakens released, now Rogue One, and we've finished shooting Episode VIII. We have enough information where we can step back a little bit and say, What are we doing? What do we feel is exciting? And what are some of the things we want to explore?" 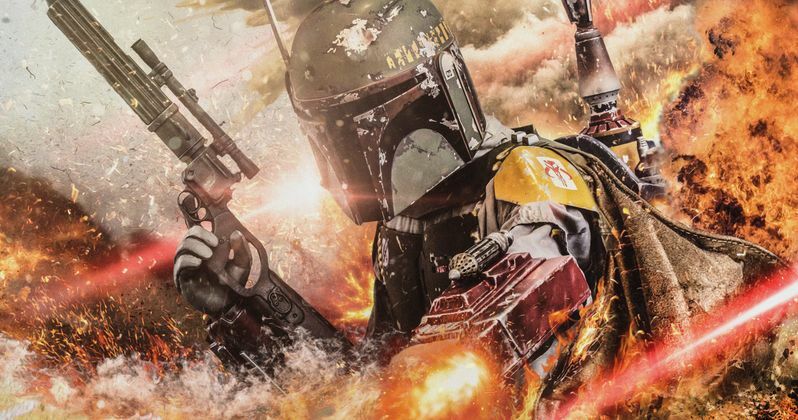 It seems inevitable that some version of Josh Trank's scrapped Boba Fett movie will come to fruition eventually, but knowing this teaser exists is something that will make die-hard Star Wars fans very curious. It is unclear if any footage was shot for the teaser or what exactly it consists of, but we will probably never find out because it is doubtful that Lucasfilm will ever let it see the light of day. There were also never any confirmed story details for the movie, so that makes it even more difficult to speculate. Perhaps it will be like the Deadpool test footage that "leaked" out, which ultimately led to that movie getting made. But this is Disney we're talking about, so probably not. Still, it is ultimately, if nothing else, fascinating to know the project was that close to reality.